Product information "TRAVELSCOOT 2W 6 km/h Mobilityscooter eScooter"
The new TRAVELSCOOT 2W iist is a luperlight mobilityhelp - allowed with 6 km/h everywhere you can walk. Approved technic (same as the 3-wheller), meaning a 200 Watt hubmotor for 15% inclines,, throttle with 3-LED battery status, Lithiumbattery 158 Wh ?? with Panasonic cells and Special charger inclusive, flat less PU tires, ultralight build with only 9 Kg incl battery, loads 110 kg. 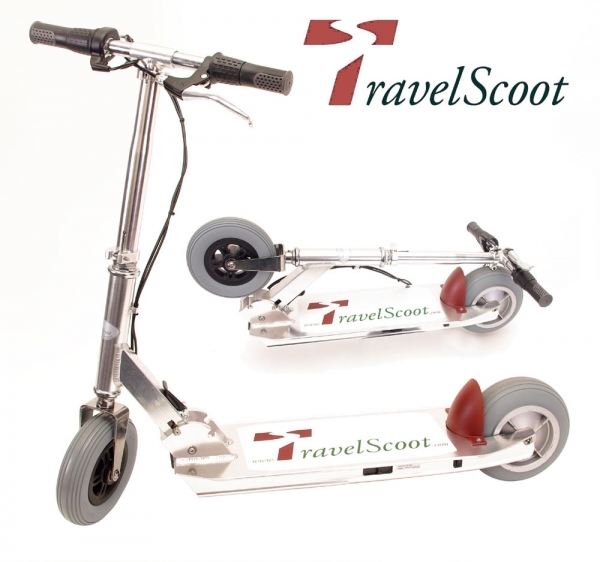 Related links to "TRAVELSCOOT 2W 6 km/h Mobilityscooter eScooter"